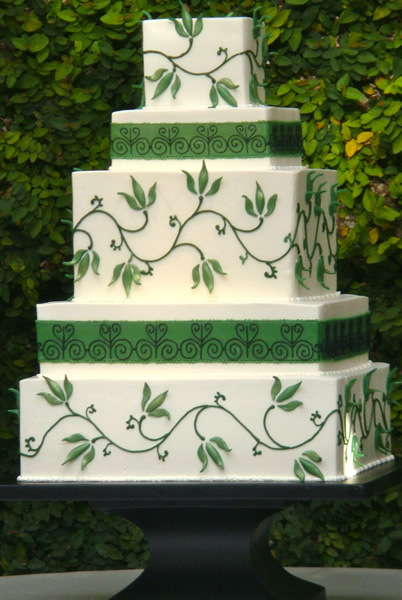 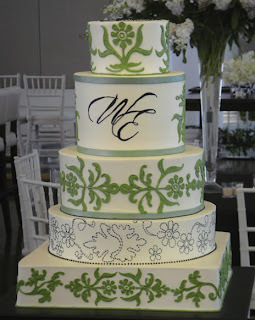 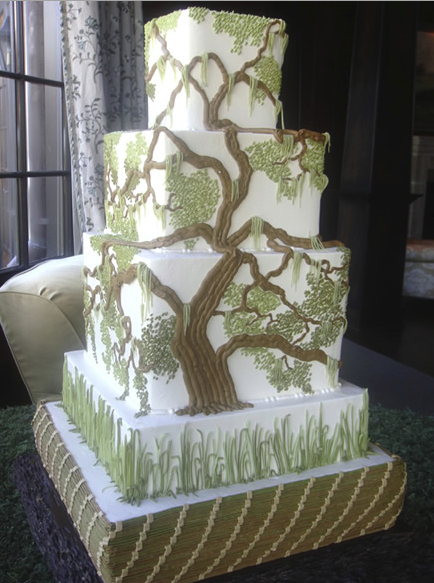 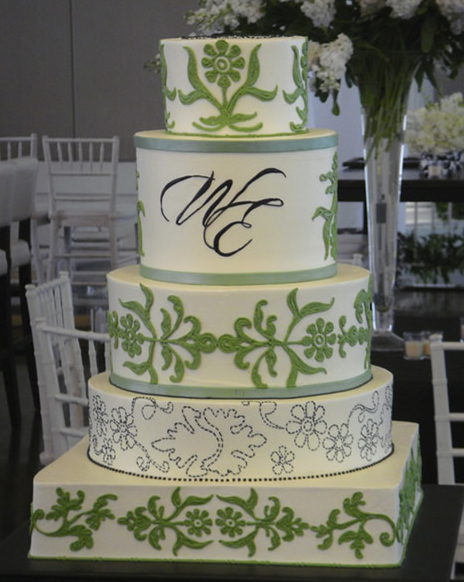 Stunning green wedding cakes created by Wedding Cakes by Jim Smeal in Charleston, South Carolina. Beautiful square wedding cake with tree motif. 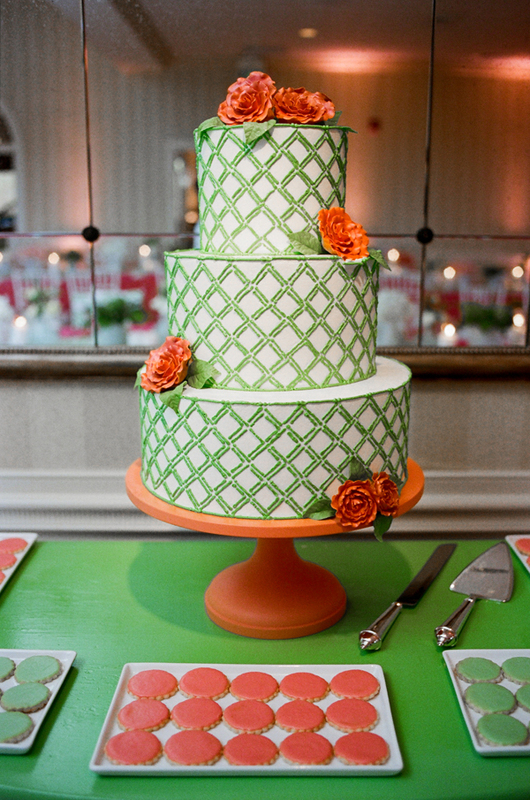 This last gorgeous green wedding cake with orange flowers created by the Jim Smeal was featured in Real Southern Weddings.